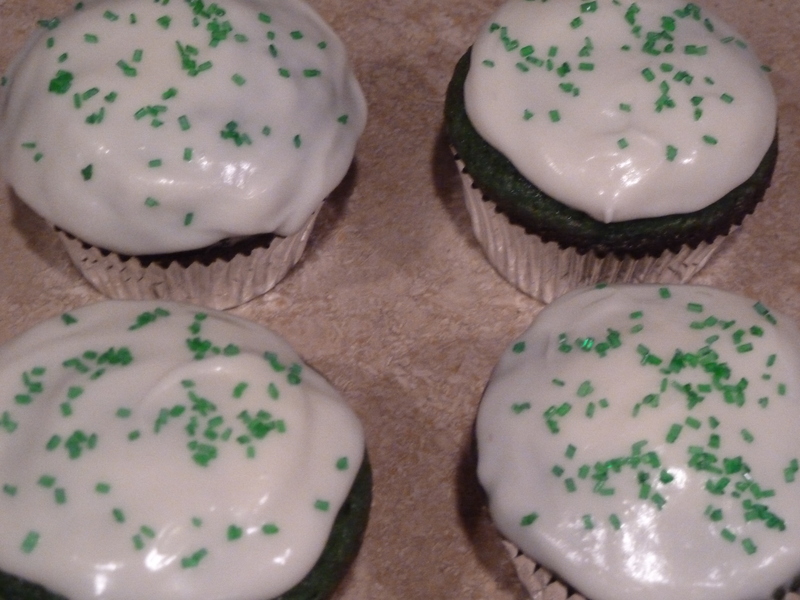 green velvet cupcakes | Is there any wine left? I love holiday themed food! Its so fun to see fruit tarts with flags made of raspberries, blueberries and strawberries on the 4th of July and candy cane cookies made with red and white sugar cookie dough at Christmas. 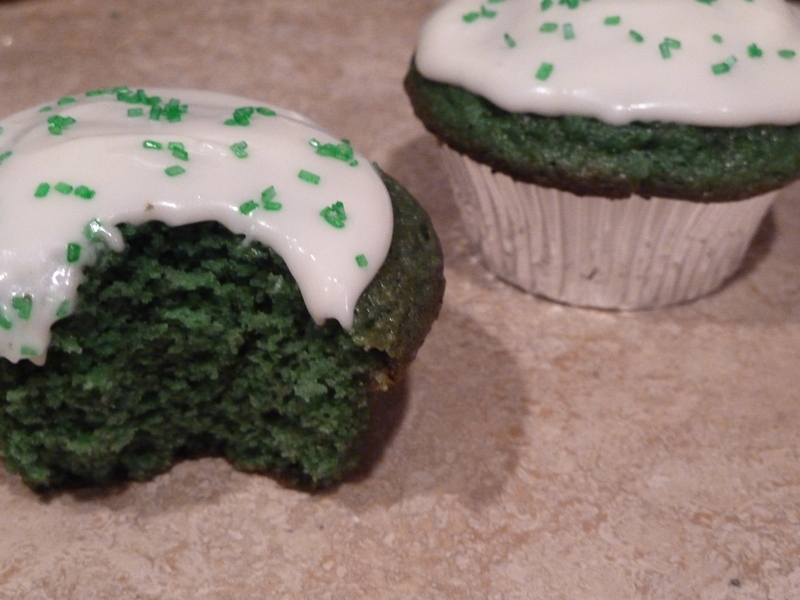 These cupcakes, based off of a red velvet cake recipe, are perfect for your St. Patrick’s Day celebration on Thursday. 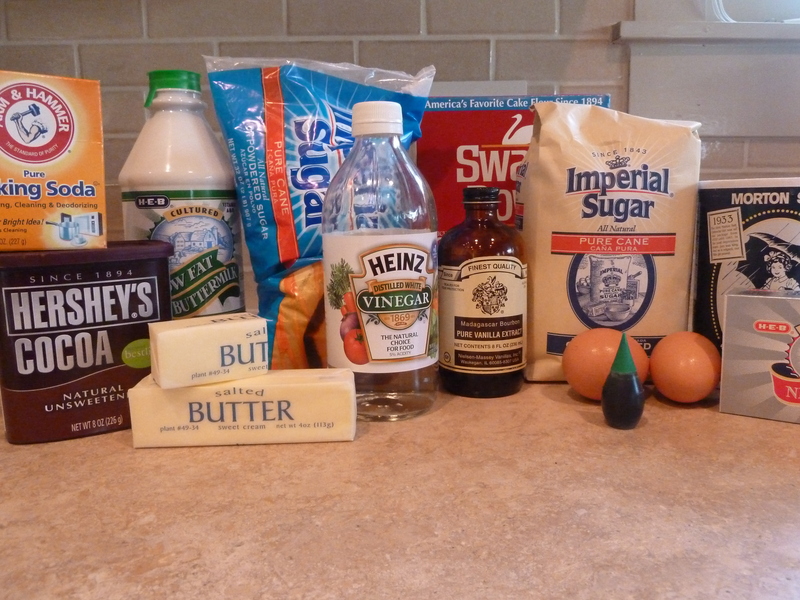 These are the ingredients you need…the vinegar is not a mistake! I found recently that adding vinegar and baking soda together to cake batters creates a bubbling reaction that makes a really fluffy crumb. Think of your grade school volcano project. 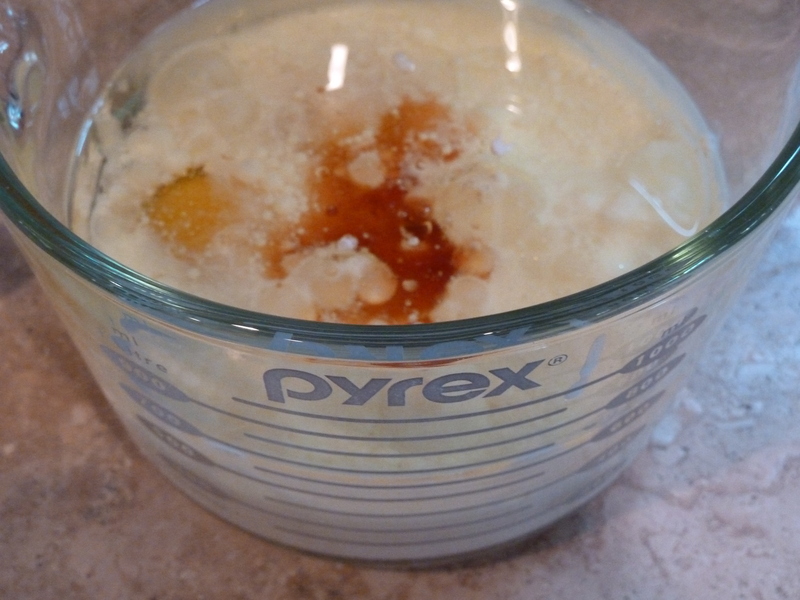 In a bowl, whisk together the eggs, buttermilk, oil, vanilla and vinegar. 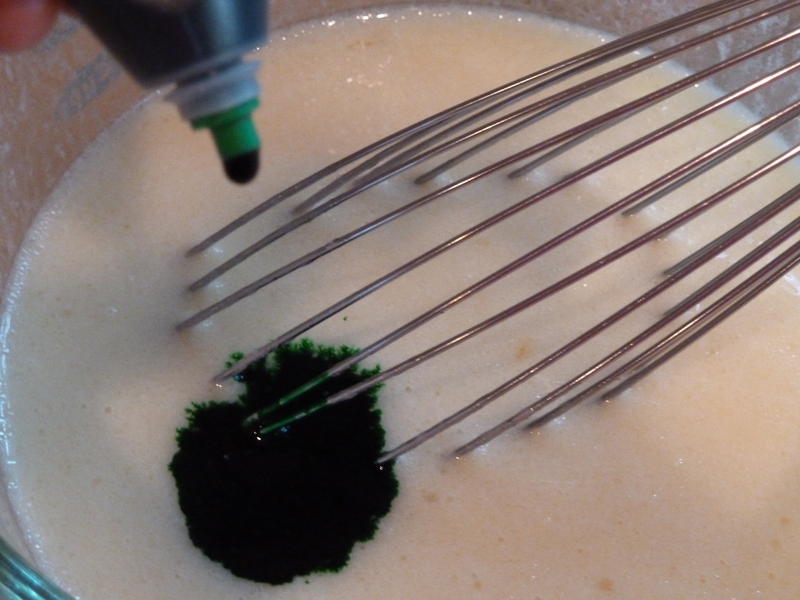 Add the entire bottle (yep, you read that right) of green food coloring to the liquid ingredients. Say! 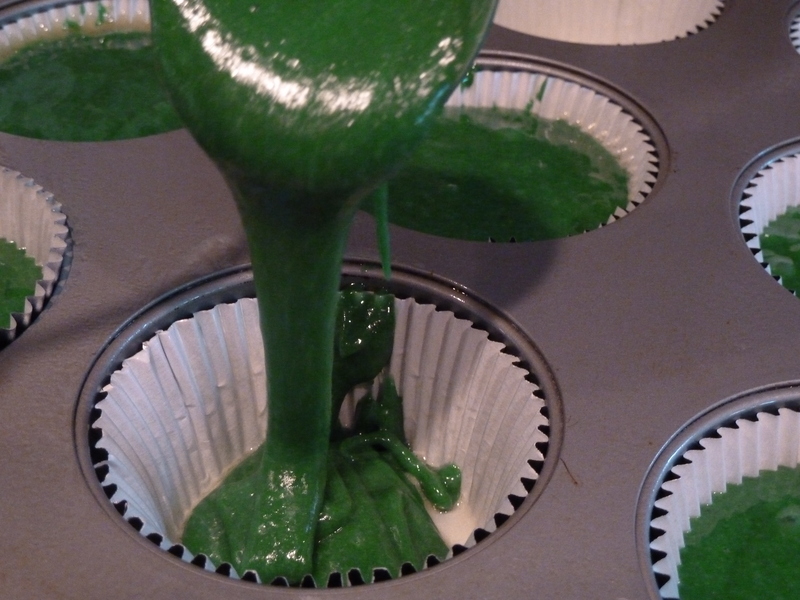 I like green eggs and ham cupcakes! I do!! I like them, Sam-I-am! 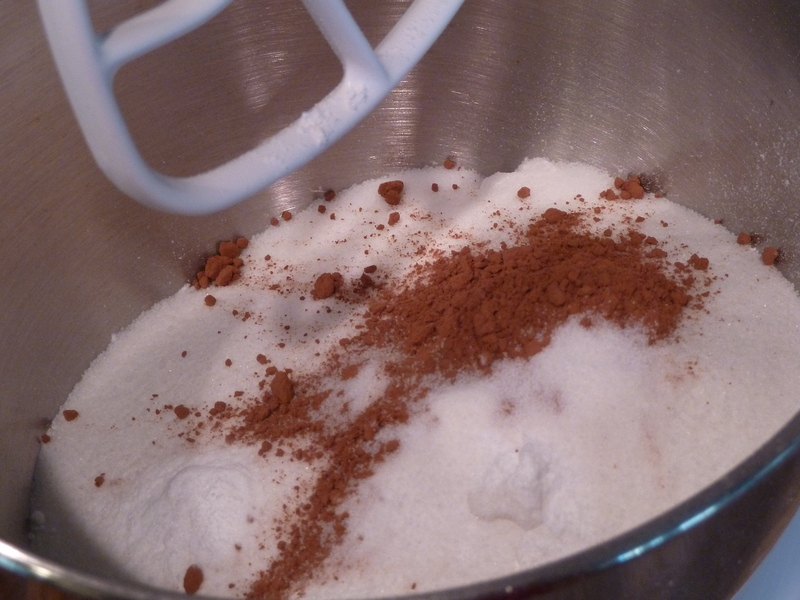 Moving on, add the flour, sugar, baking soda, cocoa and salt to your mixing bowl. 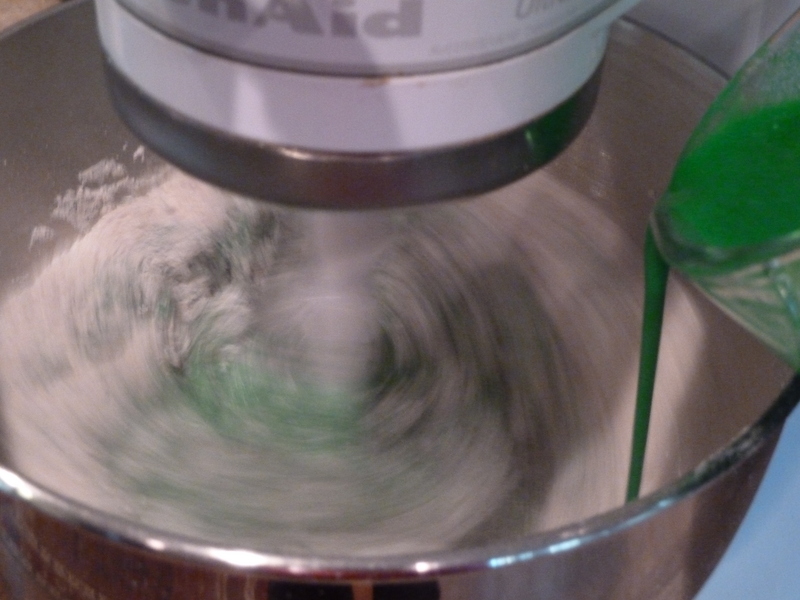 Turn the mixer on medium-low and slowly pour in the green mixture. Only mix the batter until it is combined. Fill the cupcake pans about 3/4 way full. Bake the cupcakes at 350 for 15 minutes. Meanwhile, make the icing by beating the powdered sugar, cream cheese, butter and vanilla. Add the half-and-half slowly to help bind the icing. Don’t add too much half-and-half or you will have runny icing. Make a pastry bag by filling a ziplock with the icing and snipping one of the corners off. 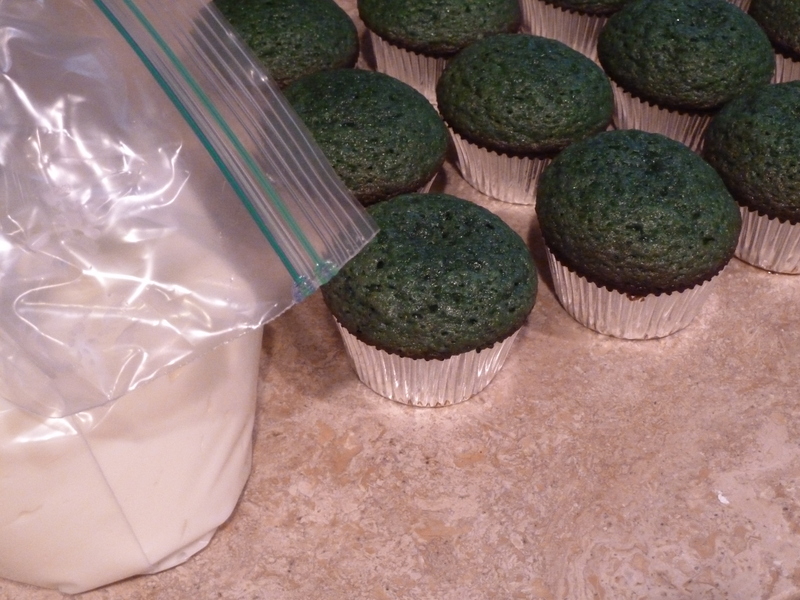 Frost the cupcakes and top with green sprinkles or sugar crystals. Hope you get lucky this Thursday! In a medium bowl, whisk the eggs, buttermilk, oil, vinegar and vanilla. Add the green food coloring (the whole bottle!) to the liquid mixture. In the bowl of your stand mixer, combine the flour, sugar, cocoa powder, baking soda and salt. 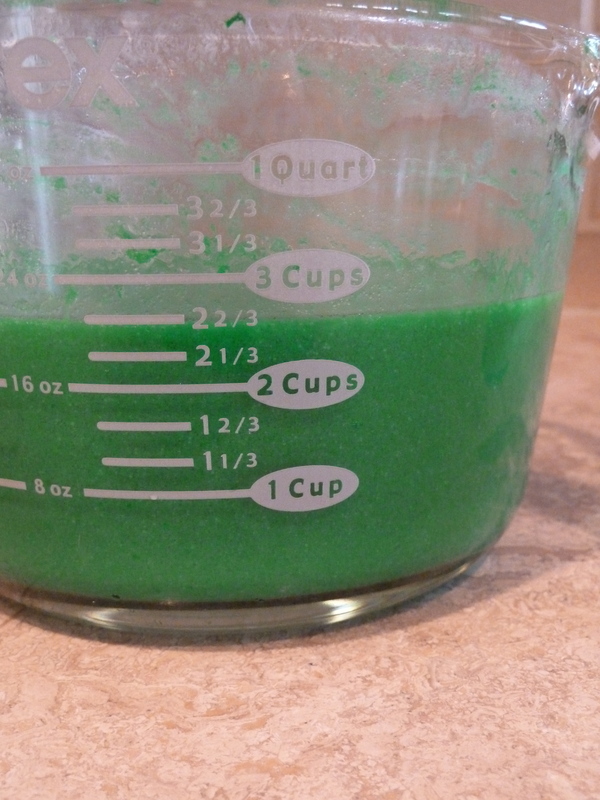 With the mixer on medium-low, add the green liquid mixture. Beat until just combined. Fill the cupcake pans about 3/4 way full and bake the cupcakes at 350 for 15 minutes. Meanwhile, make the icing by beating the powdered sugar, cream cheese, butter and vanilla. Add the half-and-half slowly to help bind the icing.